Manny Vazquez is an EAL consultant and language specialist at Hounslow Language Service. 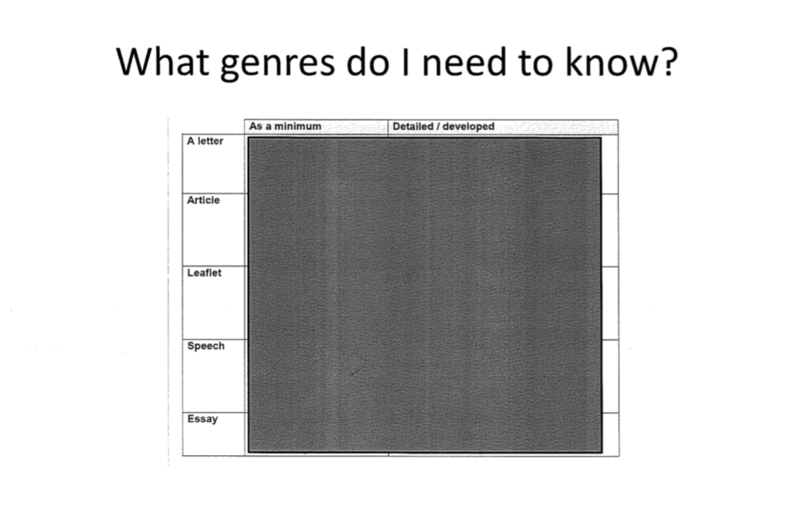 In this post he describes how he worked with Year 11 students to adapt a new teaching resource and in so doing helped them to reinforce their understanding of text types and features. Sometimes it’s just about making very minor tweaks to existing content. I’m currently working on viewpoint writing with the Year 11 intervention groups. 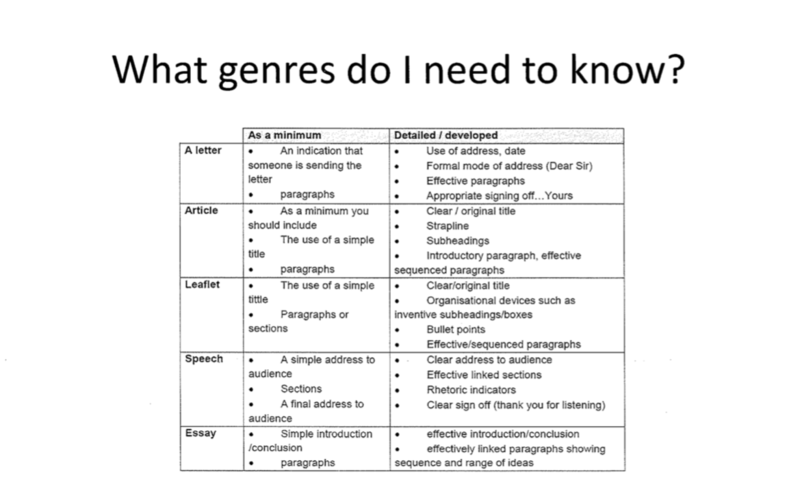 My brief for each lesson is to make sure they know the five potential ‘genres/text-types’ they could be asked to produce, discuss a point of view and practise a bit of writing, usually just a paragraph in the last few minutes of the lesson. 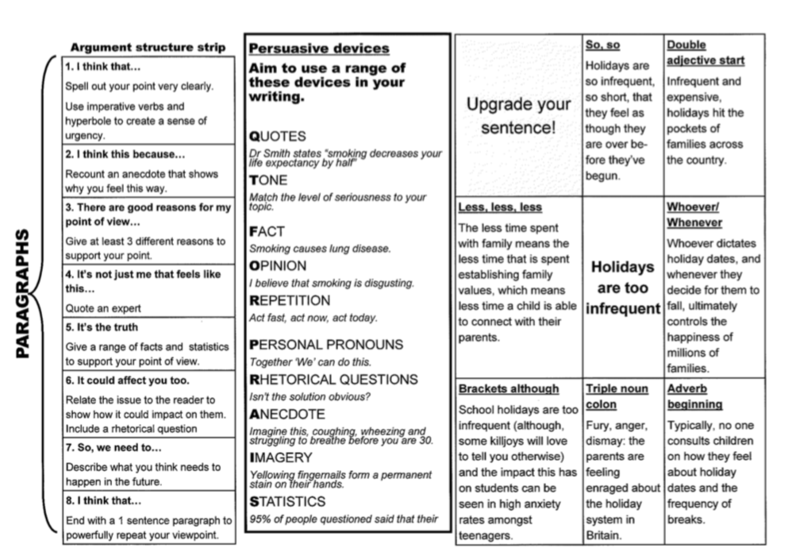 The resources I have been given are two very useful handouts which outline the key components of each type of writing – letter, article, leaflet, speech, essay – and a prompt sheet which includes an argument structure strip, helpful persuasive devices and advice on upgrading your sentence (see Sheets 1 and 2 below). Each lesson has begun in the same way, with me asking the students what are the possible five types of writing they could be asked to produce. Interestingly not one student thus far has been able to state all five, and we usually get there once I’ve prompted with a couple of examples. The first handout listing the five and their component parts is a better version than the one we were using last year. 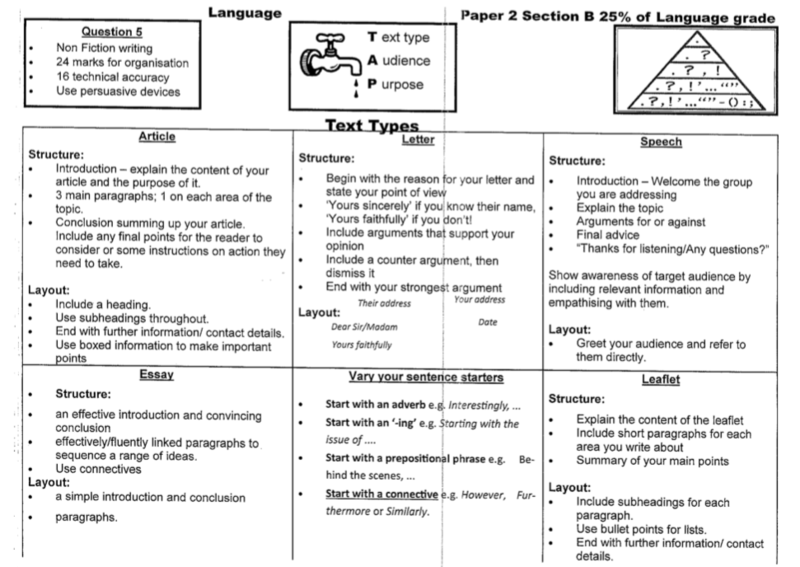 Each type of writing is explained under two sections – ‘structure’ and ‘layout’ – and the expectation is that students will absorb this information, ‘learn it’, so to speak. However, what I found helped the students was to add a couple of extra steps when dealing with these two handouts. I began by using the old version and blanking out the information for each of the five types (Sheets 3 and 4). I said to them that if I was in their shoes, the one I would least want to face in the exam was writing a leaflet. I then invited them to rank the five from their most preferred to their least. We took feedback on this and then I gave them the full handout with all the information and asked them to look at the two types of writing they had ranked 4 and 5, and to note these down in their exercise books. Finally I told them they could only take one version away with them. Invariably they all chose the newer version. I think that by just tweaking the existing resources it helped them ‘learn’ the five types of writing they need to know. To sum up, we started with a ranking activity, then moved on to consider what information had been blanked out and asking what should be there, and finally compared two handouts which effectively are doing the same thing, and making a judgement as to which resource was the most useful, and why. Find out more about Manny’s work at Hounslow Language Service here. Update: As is so often the case, the original resources described in this post were a result of the vibrant and sharing education Twitter community. Great starting places for discussion about the kinds of resources shared here are: @mrlockyer, @MrsSpalding and @heymrshallahan. Translanguaging in linguistically diverse classrooms. Does it improve outcomes for multilingual children?